When I was growing up, I thought everything was dull unless I was watching classic movies. From the stars, the glamour, the music, I was enthralled by everything about classic Hollywood. I was obsessed with Lucille Ball, Judy Garland, and John Wayne (my, what a combo that is!). I distinctly remember a moment in the 5th grade where I got to check out books at the school library and found the biography section. I freaked out when I found books on John Wayne and Lucille Ball. They were nice compliments to Goosebumps and The Boxcar Children series. I was a devoted viewer of American Movie Classics. Bob Dorian and Nick Clooney had my dream job. Every Sunday, I’d grab TV Guide and highlight the movies I wanted to see for the week. I was a full-blown nerd (who am I kidding, I still am today). Later in 1994, a new kid on the block came into the classic Hollywood tv channel game and its name was Turner Classic Movies. I was initially skeptical but I didn’t get the channel so I never got to see TCM. It wasn’t until a few years later when I was 14 that my household finally got TCM. At this point, my palette for the classics had grown as I had. I was really into Alfred Hitchcock films and to my delight TCM was about to show one that I had never seen before but had one of my favorite actors starring in it. It was North by Northwest with Cary Grant. I’ll give TCM a chance I said. 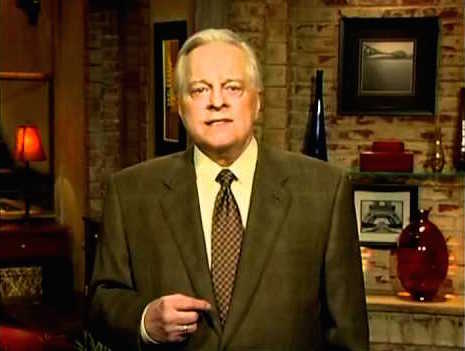 After a produced intro that consisted of a dramatic swoop showing the TCM gangster that then revealed the the title card of the channel’s logo and the words “Feature Presentation,” the camera moved to the living room and there he was: Robert Osborne. Robert Osborne has a certain warmth and kindness to his delivery that sometimes you don’t want his introductory remarks to end. You’d rather sit with him and talk about movies than see the main event. He has a vast knowledge of classic films and history but more than anything Robert Osborne is someone who simply loves movies. He’s not the kind of person who feels the need to prove how smart he is about film, he just wants to talk about them. It’s that passion for film that instantly made me a fan of Turner Classic Movies. TCM has the rights to the MGM library which is why I hadn’t seen North by Northwest before, I’ll never forget hearing the opening notes of Bernard Herrmann’s score. It gives me goosebumps every time because it’s so exciting. The score matched with the Saul Bass title sequence perfectly sets the tone for the wild ride ahead. North by Northwest, in my opinion, is the most fun of all of Hitchcock’s films. Everything about it is perfect (even the ending which some may say comes abruptly). 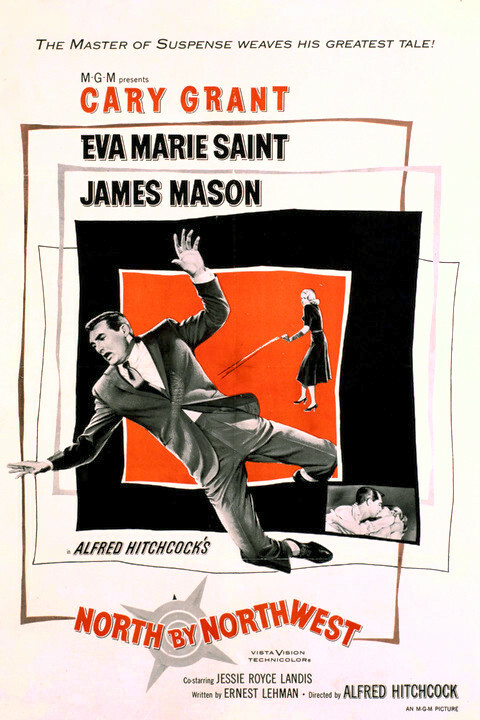 Cary Grant, Eva Marie Saint, James Mason, and Martin Landau are so good in each of their roles. It’s a story of mistaken identity. Grant’s Madison Avenue ad man Roger Thornhill is being chased by spies who think he’s double agent George Kaplin. This entertaining game of cat and mouse always hits its marks. North by Northwest goes across the country and puts the viewer in the streets of 1950’s New York to South Dakota atop of Mount Rushmore with all the glamour and elegance the era offered. What makes the film so great is Ernest Lehman’s script. It is witty, smart, and also quite risque for the ’50s. Its major strength is balancing the silly and serious. I’ll admit the double entendres went over my head during my initial viewing but I was used to that. Classic films are usually for more adult audiences. However upon multiple viewings, it’s clever and the dialogue holds up. Roger Thornill is sophisticated and smooth. Even in this unusual circumstance, he never loses his suave bravado. He’s able to quip and hold his own when faced with the man out to get him. In this role, Cary Grant is the ultimate leading man. The chemistry between him and Eva Marie Saint is on par to his with Ingrid Bergman in Notorious. Like the famous kissing scene in that film, the scene Grant and Saint share in the train car is one of the sexiest on film. Their back and forth would go on to be replicated but never duplicated in countless Bond films. Matching Grant’s sophistication is James Mason as the elegantly chilling Phillip Vandamm with his crony Martin Balsam hanging around to make sure the dirty work gets done. Hitchcock filmed this in VistaVision which is why the famous crop duster scene works so well. In the film, the sequence is thrilling. When you see it out of context in a film montage reel you wonder where that scene came about because let’s face it, death by a helicopter is quite a ridiculous premise. Yet there’s so much tension built up that it never feels absurd. Since watching North by Northwest, I’ve seen all of the American Hitchcock films that are available on DVD but I have not been as successful in checking out his British films. TCM made that possible not only on-air but with their guides online to boxed sets. While AMC may have launched my interest in Hitchcock, TCM made me delve deeper. TCM led me to new discoveries. TCM’s commitment to the overall experience of watching films has made me see them in a different light. It inspired me to watch films more than once, to analyze storytelling beyond an actor’s performance but to look at things like its soundtrack, transitions, lighting, fashion, etc. Because of that foundation I’m able to see the influence of films like North by Northwest in modern media. Mad Men’s Don Draper is practically Roger Thornhill. The show’s opening sequence is a direct homage to North by Northwest. North by Northwest airs often on TCM. Some might not seem to enjoy seeing it so frequently but I do. Whenever its own, I make sure to watch. It’s an essential. And even through countless viewings, it’s still just as exciting even though I know what’s coming next. Thank you, TCM, for bringing North By Northwest into my life. This post was a contribution to the TCM Discoveries Blogathon hosted by Nitrate Diva. Check out more posts here. Fabulous film,isn’t it. As you say, that opening music is thrilling – all credit to the brilliant Bernard Hermann. TCM and Robert Osborne have a great deal of responsibility on my classic film nerdiness, too! Here in Brazil we don’t have The Essentials anymore, but it was always a blast to hear Bob talk before the movies – even the ones I had already seen. I remember I was on the street once and came back home early to see North by Nortthwest – it was totally worth it!